Last week I gave you my second round of Cemetery Dance reviews. This week I’ll be reviewing a different collection of short stories… A complete collection by a single author! 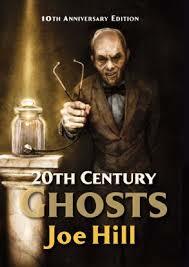 WHAT IS “20th Century Ghosts”? It’s a collection of 15 (er… 16! 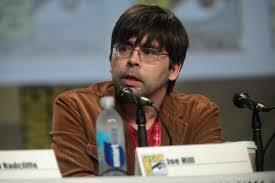 …more on that later) short stories, all by rising Horror star Joe Hill. It was first published in 2005 in the UK. 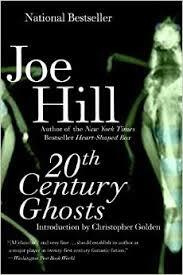 Before this, I’d only read one of Mr. Hill’s books: “Horns”, and I loved it. (It was also made into a pretty good movie starring Daniel Radcliffe). 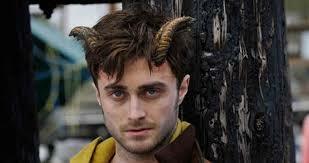 “Horns” = Ignatius wakes up one morning with horns that nobody else can see. His story involves learning why they are there and the abilities they give him. Well, he’d instantly earned my respect, and I just HAD to check out those short stories, didn’t I? The problem I’m going to have here is commenting on so many stories. And I will. But it also means they’re all going to be brief. In fact, all you’ll get is a Super-Short Spoiler-Free Plotline, My Grade, and My Super-Short Review. If you want more than that, I guess you’ll just have to read them yourself. 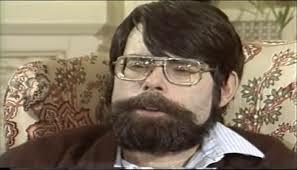 …and his dad, Stephen King at roughly the same age. Do these guys look alike or what? SUPER-SHORT, SPOILER-FREE PLOTLINE: Eddie is the editor of an annual collection of Horror stories. He has a hard time tracking down the author of a particularly striking story which has revitalized his passion for the genre. MY SUPER-SHORT REVIEW: Scary. Makes me worry that some people really think Horror authors love violence. Or, worse still, that some of them do. This cover was made specifically to match this story. Cool. SUPER-SHORT, SPOILER-FREE PLOTLINE: An old movie theater is haunted by the ghost of a young woman who died there during a showing of The Wizard of Oz. Her appearances are infrequent but memorable. The tale is told by Alec, the theater owner, who worries what will happen to her when he retires because it’s probably the theater will then shut down. 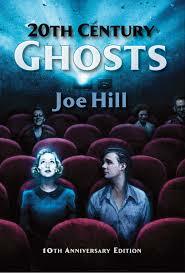 MY SUPER-SHORT REVIEW: Refreshingly atypical ghost story with a refreshingly satisfying ending. Whoever made this image is awesome. SUPER-SHORT, SPOILER-FREE PLOTLINE: Art is a human boy who happens to be made of inflatable plastic. His daily difficulties & successes are very different than the rest of us. MY SUPER-SHORT REVIEW: One of the most creative ideas I’ve ever come across. One part silly, one part weird, and one part tragedy. This one will stick with you. SUPER-SHORT, SPOILER-FREE PLOTLINE: A boy wakes up to learns all the bugs he’s been eating for playground respect has turned him into a giant insect. MY SUPER-SHORT REVIEW: Far more violent & picturesque than I would have expected, yet with an ending that feels like poetry. Another cover. This one feels like a movie waiting to happen. SUPER-SHORT, SPOILER-FREE PLOTLINE: Abraham = Abraham Van Helsing. It is in the years after his dealings with Dracula & he is now trying to teach his sons about the dangers (and truth!) of vampires. MY SUPER-SHORT REVIEW: Left me feeling wanting, like there was more to this story which was never quite written down. A fun idea, though, with some cute references to the original Stoker text, so not a true clunker. SUPER-SHORT, SPOILER-FREE PLOTLINE: A boy with a less-than-awesome dad who is obsessed with baseball. MY SUPER-SHORT REVIEW: Reads like a typical “battered child” story. Told well, but lacked originality. SUPER-SHORT, SPOILER-FREE PLOTLINE: Thirteen-year-old John is kidnapped & is brought to a basement with a home-made prison cell. On the wall is a old, rotary-style black telephone who wires are cut. When the phone rings, John is surprised at who’s on the other end. MY SUPER-SHORT REVIEW: Any child kidnapping story is super creepy to me, and seeing this one done so realistically definitely hit a nerve. But it was also somewhat predictable, which left the ending feeling kind of lackluster. SUPER-SHORT, SPOILER-FREE PLOTLINE: A video story employee happens upon a horrible crime scene of violence while walking home. MY SUPER-SHORT REVIEW: No supernatural elements here, but plenty of violence, gore, & grue, all of which comes out of the blue & hits readers with a true shock. The ending, however, was very incomplete. 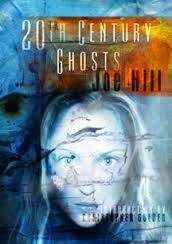 I wanted more where Hill seemed to want readers to come to their own conclusions. For my taste, I needed more provided by the author. SUPER-SHORT, SPOILER-FREE PLOTLINE: Little boy Eric learns his homemade “cape” gives him the literal ability to fly. Fast forward a dozen years or so & Eric now thinks he imagined the whole thing, until he finds the cape in his mother’s basement. MY SUPER-SHORT REVIEW: Fanciful. Heartwarming. Exhilarating. Minus a point or two for slow pacing where I don’t think it was needed, it was nevertheless a fun read. Another cover made to specifically match this story. Still cool. SUPER-SHORT, SPOILER-FREE PLOTLINE: Dr. Allinger is the head of the “Museum of Silence” (pay attention… that’s sILence, not sCIence) wherein the last breaths of various dying people (some famous, some not) have been caught and stoppered and put on display. If you listen carefully to the glass jars, you can still hear their last breaths. 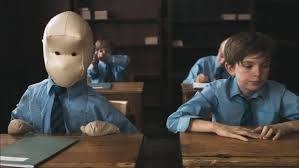 MY SUPER-SHORT REVIEW: A truly original idea mixed with a truly creepy notion. Sadly, the complexity of where this one could have gone was left flat. The ending is partly predictable & partly satisfying nevertheless. SUPER-SHORT, SPOILER-FREE PLOTLINE: Trees are alive, therefore maybe they can have ghosts. Another cover. This one seems to suggest a demon-like atmosphere. SUPER-SHORT, SPOILER-FREE PLOTLINE: A hobo jumps from a moving train to avoid the nasty watchman who is rumored to work at the station up ahead. Nearby, he comes across a family who meets many such homeless persons, and who offers good food and strange advice. MY SUPER-SHORT REVIEW: As with many of Hill’s story in this collection, it was the lackluster ending that killed this one. Also, the Horror elements felt fabricated. On a good note, the characterizations & dialogue felt as genuine as any story I’ve read. In short: It felt like Hill had accidentally created some cool characters but with no real story to put them into. SUPER-SHORT, SPOILER-FREE PLOTLINE: Two former lovers meet accidentally while acting as background characters for George Romero’s classic Dawn of the Dead. MY SUPER-SHORT REVIEW: Absolutely fantastic. A stunning piece of narrative fiction. The only Horror is the fake setting of the movie being filmed, yet everything about it feels symbolic, from the complex relationship between the 2 main & 2 minor characters- which is all heartwrenchingly believable in its own right-, to the action scenes (aka: the acting the characters do on set), to the awesome cameo appearance by Romero himself. And that ending… God what a killer line. You should buy this book for this story alone. SUPER-SHORT, SPOILER-FREE PLOTLINE: Jack is 13 and his parents take them to their cabin for the weekend. Mom keeps pretending to play a game where they need to hide from the evil ‘playing card people’, the best defense fom whom is to wear masks. But when Jack arrives & sees the multitude of masks hanging around the cabin, he begins to think his mom’s game is real. MY SUPER-SHORT REVIEW: Another 5-star winner. This story is creepy beyond belief. Hill builds us up slowly and step by step as we see the strange actions of Jack’s parents, then are thrown for a loop by the other kids he meets in the nearby woods. The ending has the kind of cyclical connection that reminds us more of a Science-Fiction tale than a Horror one. But you’ll walk away feeling sick to your stomach despite how much you loved reading it. SUPER-SHORT, SPOILER-FREE PLOTLINE: Two brothers. The younger is mentally handicapped but has a penchant for building things (probably he’s autistic, or even an ‘idiot savant’) out of paper cups and, later, cardboard boxes. The older worries about his sibling, but is also in awe of the beautiful, almost magical, complexities of what he builds in their basement. Told from perspective of the older brother many years after the loss of both this brother & his neghborhood friend, who plays his own ill-reputed role in the story. MY SUPER-SHORT REVIEW: Yet ANOTHER mind-blowing story. This one grabbed me from the start and only got me more and more obsessed as it went on. The fact that there are only three major characters is astounding when you think how complex and layered these characters are. Throw into that mix even more fantastic creativity in the form of the younger brother’s magical boxes, and this one comes out as a story for the ages. I could see it becoming a great movie one day. This one is truly a bonus story. Not only is it not mentioned on the Table of Contents, but it’s literally wedged within the author’s afterword at the end of the book. SUPER-SHORT, SPOILER-FREE PLOTLINE: A guy who used to write stories on an old typewriter but never published any of them dies. His daughter soon learns that every night at precisely 8pm, the typewriter will turn itself on & write 3 pages of new story. IE: Her dead dad is still writing from beyond the grave & the typewriter is the conduit. 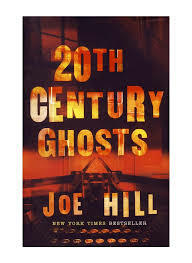 In this collection, Joe Hill’s stories show a kind of pattern, namely that they are extremely creative, very well written, and sometimes have a disappointing ending. Sounds just like his dad’s early days. Jeez! But to be fair, Hill is not just the offspring of his father. He has his own distinctive voice, which I quite like. It was great to see the ‘foundation’ of where Hill got a significant portion of his start in the business, and to be honest some of those stories were way better than I was expecting. Which means now I really have to read more of his novels. Dammit. My TO READ list will never get smaller, will it? Yeah, I know. First World Problems. Shut up, Keith. https://i2.wp.com/www.fictionvortex.com/wp-content/uploads/2016/08/Bone-Pile-FV-Featured-Image-10.jpg?fit=1028%2C514 514 1028 K Edwin Fritz http://www.fictionvortex.com/wp-content/uploads/2017/10/grey-fv-banner-01-300x138.png K Edwin Fritz2016-08-18 07:43:422018-06-04 10:32:47008) Book Review: "20th Century Ghosts"